Francine's Friends: Covington Plaza Goes Pink and Helps Support Francine's Friends! Covington Plaza Goes Pink and Helps Support Francine's Friends! 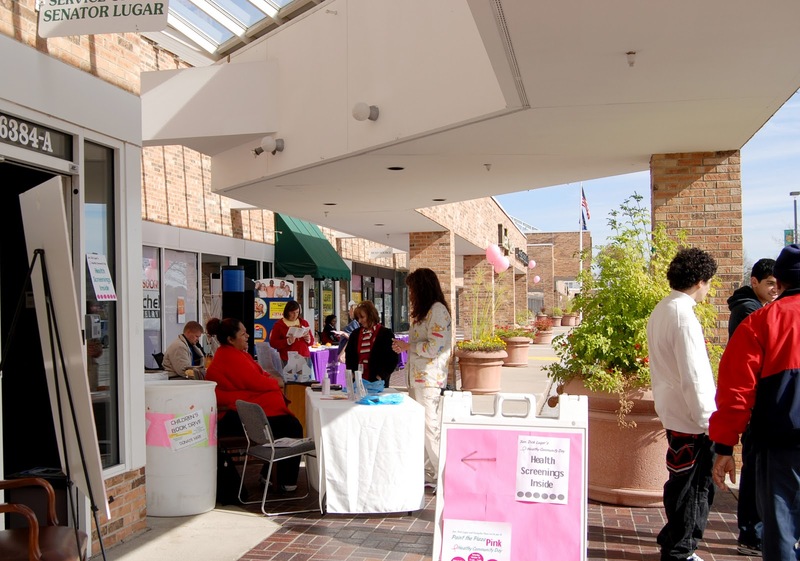 It was a bright, beautiful day at Covington Plaza on Saturday, October 22, 2011 - a perfect day to see pink and white balloons bouncing outside the various retailers and a very pretty matching pink, white, and red mobile mammography coach in the parking lot. Francine's Friends mobile mammography coach was on hand from 9:00 am-1:00 pm providing screening mammograms for area women. Thank you to Senator Lugar's office and our local retailers and friends The Monogram Shoppe and More, Merle Norman Cosmetics, and Cindy Friend Lifestyle Studio, who are donating 10% of their proceeds from Saturday to help provide future screening mammograms. Be sure you continue to do YOUR future shopping with these wonderful friends of ours - for items like the latest purses, scarves and pillows, or that special accent piece for the home (Cindy Friend Lifestyle Studio). Or what about a makeover for yourself? Check out all the latest and greatest color palettes and looks in make-up for fall and the holidays - including a special manicure for moi? (Merle Norman Cosmetics). Last stop? 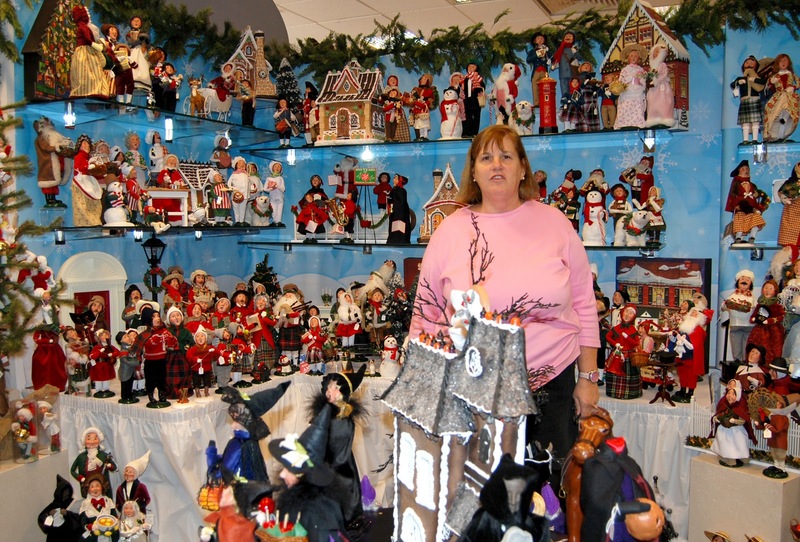 The perfect stop/shoppe for your holiday cards, personalized stationery or a Lynn Haney Santa. The Monogram Shoppe and More really gears up for the holidays, featuring Byers' Choice, Peggy Karr Glass, and Spartina Purses, along with baby presents, monogrammed jewelry and even men's gifts. Support these local retailers who work so hard throughout the year to help support Francine's Friends! Indiana Breast Cancer Awareness Trust, Inc.
15 minutes could save your life! The Francine’s Friends Mobile Mammography coach brings high-quality, life-saving mammography screening to women across northeast Indiana at locations more convenient to their homes or workplaces. The mobile mammography program is a partnership of the Parkview Comprehensive Cancer Center, the Breast Diagnostic Center and Francine’s Friends. Meet This Year’s Cookin’ Men! Happy 2019 to our Friends! WLDE Carrie Wellman Chats with "Friends"